A true 'can't miss' proposition. 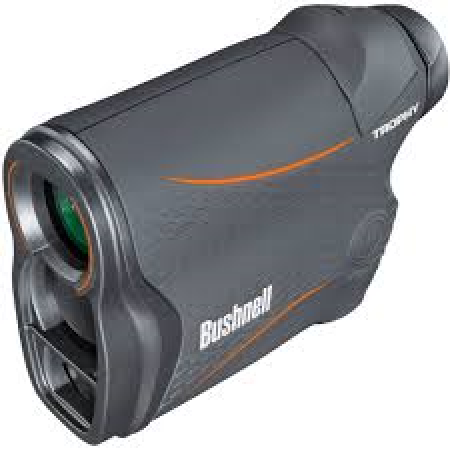 The all new Trophy® Laser Rangefinder features 7-850 yard performance, +/- one yard accuracy, Full Spectrum Targeting for positive readings in dark color or shaded areas. It's ergonomic design offers improved stability while ranging with its simple, one-button design. Built rugged and rainproof, it’s practical proof of the value of knowing exactly where your shot will hit—every time.